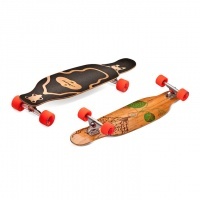 Longboards are are great as they allow for that same carve feeling on tarmac as water, snow or dirt. 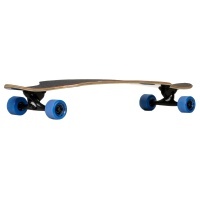 They can be ridden at high speeds or just crusing about. 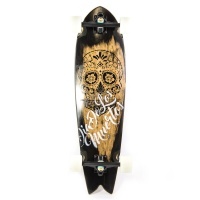 We have selected some great boards for all levels of rider. 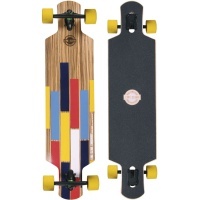 We stock a selection of Freeride, Cruise, Slalom, Carve, Race and Pool longboards from Lush Longboards, Landyachtz, Rayne, Loaded, Comet, GFH boards, Penny Skateboards, Long Island, Atom Longboards, Mindless and Never Summer. 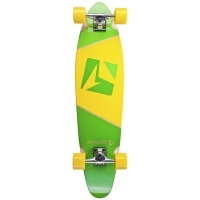 The Kickball Calypso board from Atlantic Board Co. is a beautiful cruiser board. 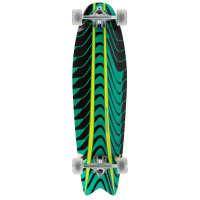 Ideal for rolling smoothly along the prom or your local high street. Atom have been working hard on an exciting new, mid priced and high quality, range over the past few years. 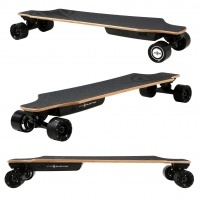 Here we have the Electric longboards. 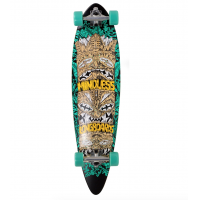 This one with All Terrain Wheels. 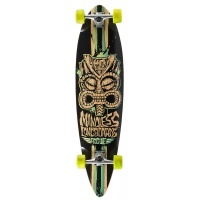 These sweet Mindless Rogue Tribal’s have been a top selling board here for the last 3 years. Now with the latest graphics and an uprated spec, these will be a winner. 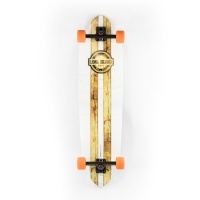 This complete longboard from Roots Longboards is your go to board for smaller riders, but also commuters alike. Small enough to pop under your arm, big enough to get sendy. 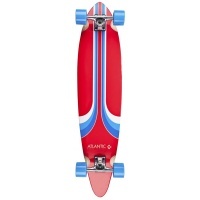 The Pintail Red board from Atlantic Board Co. is a beautiful cruiser board. Ideal for rolling smoothly along the prom or your local high street. Atom have been working hard on an exciting new, mid priced and high quality, range over the past few years. 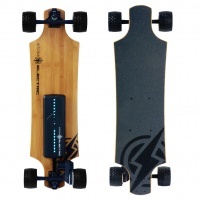 Here we have the Electric longboards.